Summer is here! Ok, not really, but today is Memorial Day in the United States, which is the day we set aside to remember those who died serving our country in the United States Armed Forces. It is also known as the unofficial start to summer around here. There are tons of cookouts and the pools open. Which was nice here yesterday when it hit 101 degrees at my house! 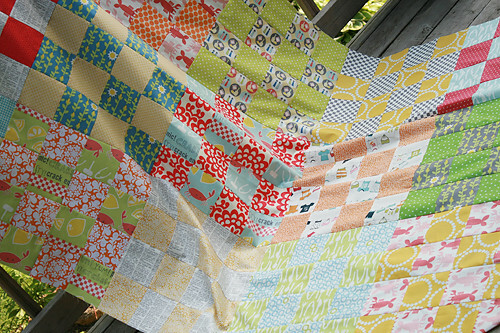 It's also when I start to get the itch to begin sewing for summer - you know, sun dresses and new bags and picnic quilts. 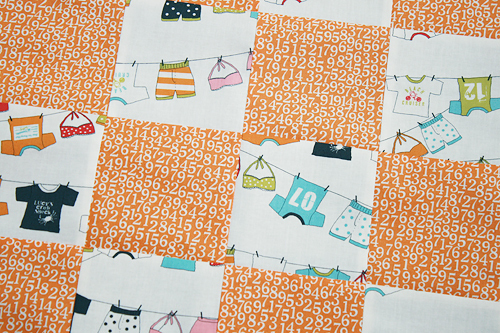 And I hope you are motivated to sew for summer too, because Jennifer over at Ellison Lane Quilts has organized a Summer Sewing Contest that I hope you will take part it. First for a bit of inspiration... 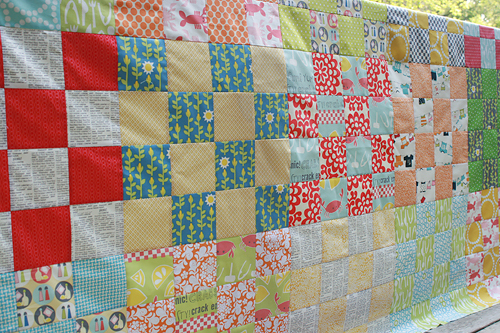 I was hoping to have this quilt finished in time for today's post, but things got crazy around here and it just didn't happen. 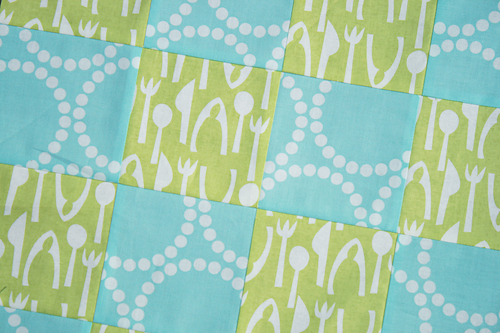 But I am working on a new, giant (for me) picnic/beach quilt for the family. My daughter wants pretty much everyone we've ever met to fit on it. So, it's going to measure 80" x 80" and I think we are guaranteed to at least fit her and 10 of her closest friends on it at the park. 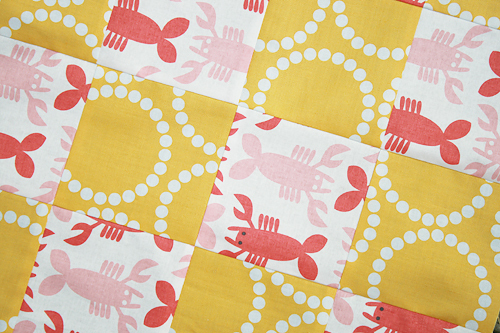 Each block uses a print from my stash and a print from Maude Asbury's Crabtastic line. I also threw in a couple prints from Sweetwater's new Lucy's Crab Shack line. Confession: I don't eat crab. But I can't resist the designs and soft colors of this fabric. The Prizes: The winner of each category will receive a $100 gift certificate to the Fat Quarter Shop. A randomly chosen winner in each category will win a Fat Quarter Bundle of fabric from Westminster Fibers / Free Spirit Fabric. A wild card winner will be chosen by Jennifer's husband and will receive a $25 gift certificate to The Intrepid Thread. Don't forget to check out the other stops on the blog hop to help you start thinking of ideas for your entry. Grab a button and spread the word! Then get sewing!